An extension of the United Kingdom, Northern Ireland is famed for its rolling mountains, glacial valleys and Norman castles. Home to nearly 2 million people, the country’s picturesque landscapes and mythical architecture lend to its charm and appeal. Popular tourist attractions include Ards Peninsula, Causeway Coast and the Marble Arch Caves and Geopark. Get wrapped up in Irish charm and medieval history because cheap flights to Northern Ireland are now available! The country’s hub airport is Belfast International Airport (BFS), a 30-minute drive from the centre of Belfast. Wander through the 18th-century houses and castles along Ards Peninsula, and see the well—preserved medieval Carrickfergus Castle, a testament to eight centuries of victories and battles. These mystical ruins of royalty are peppered throughout the countryside and coastline. Some of the most intriguing rock formations can be found along the rugged coastline and in the Marble Arch Caves and Geopark, where an underworld of glistening stalactites and calcite passageways await. The lush green meadows are equally captivating. Home to a burgeoning arts scene, you can find quirky stand-up, theatre, dance and live-music performances almost every night. 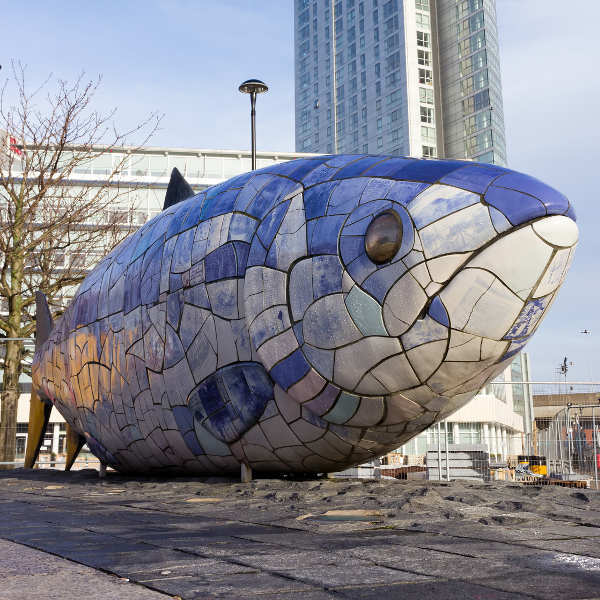 Peruse the art galleries in Derry and Belfast, while the local exhibitions and street art are just as fascinating. Northern Ireland experiences a temperate climate with relatively cool temperatures throughout the year. Summertime (June-September) brings flocks of tourists when the warm balmy days are ideal for lounging on the beach and exploring the rugged countryside. Be aware of crowds during school holidays, between July and early September. Be sure to bring an umbrella for random showers occurring throughout the year. For off-season discounts on airfares and accommodation, travel outside the summer months. April-early June is perfect for enjoying the beautiful spring blossoms and landscapes, while the winter season (November-March) sees temperatures dropping to a fresh 1°C. With a love of life, culture and the arts, the country hosts many unique festivals and events throughout the year. Some iconic ones to check out include Belfast Mela (Belfast), Carnival of Colours (Derry), Hilden Beer and Music Festival (Lisburn) and East Side Arts Festival (Belfast), all taking place during August. With its bewitching landscapes, medieval castles, maritime history and Irish charm, Northern Ireland is a mystical land where fantasies do come true. You can easily get lost in its rolling hills, sprawling coastlines and fun-loving culture. 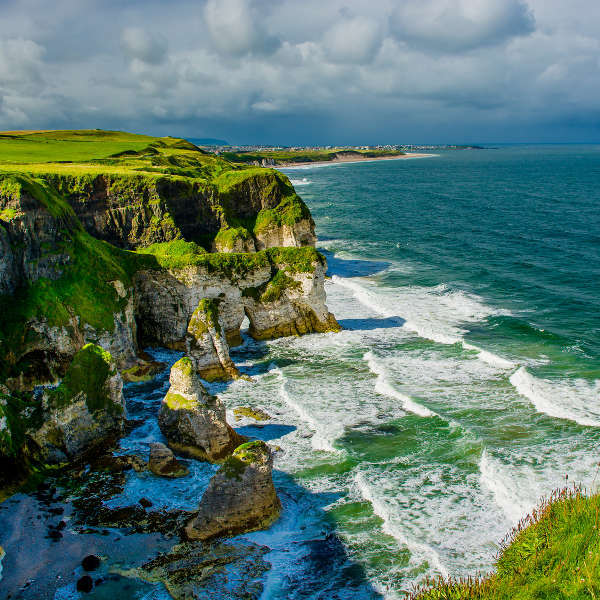 The stunning coastline, sand dunes, golf courses and picturesque villages that make up Causeway Coast are beautifully nostalgic. 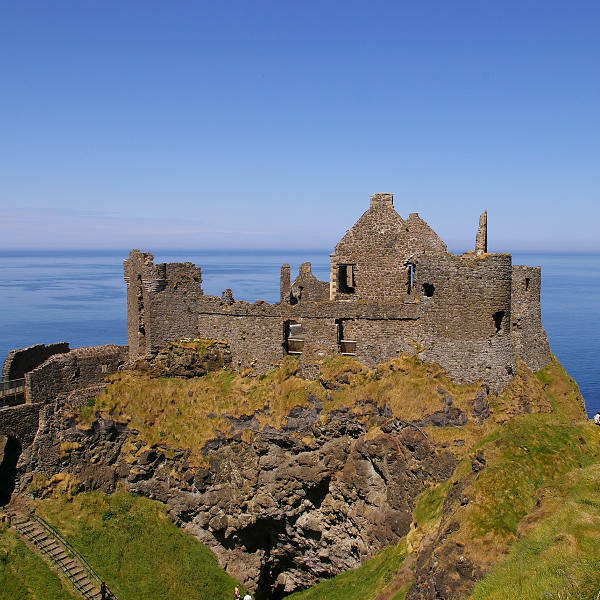 Take a short drive west to sample the finest whiskey at Bushmills Distillery on your way to the medieval ruins of Dunluce Castle. The sheer cliffs around the coast lead you to the perilous Carrick-a-Rede Rope Bridge – it is not for the faint-hearted, cross if you dare! The UNESCO landmark - Giant’s Causeway – is a unique creation of basalt layers formed by a volcanic eruption 60 million years ago. On a clear day, you can even see Scotland in the far distance! Another scenic wonder is the Nine Glens of Antrim. Stretching between Ballycastle and Larne, the scenic trail takes you through forest trails, plunging waterfalls and beautiful lakes. Van Morrison’s hometown, Belfast, is a hub of history, culture and art. Take a bus tour and see the sights of this bustling capital, including Ulster Hall. Watch a ballet or play at the premier Victorian Grand Opera House. Tours of Crumlin Road Gaol and the Ulster Folk and Transport Museum make for an interesting day out. Don’t miss a guided tour of the Titanic Belfast, a star-shaped landmark tracing Belfast’s maritime history and the memorable story of the Titanic. Roam the famous stone walls of Derry and discover the city’s history at the Tower Museum. Walk in the footsteps of Jon Snow as you create your own medieval tale at Winterfell Castle on the Game of Thrones film set! Compare several airlines, and book your cheap flights to Northern Ireland online at Travelstart! Northern Ireland is one of the safest places to visit and is rated to be safer than most other UK cities. Although it is always recommended to practise good safety precautions, petty crime like pickpocketing is extremely rare. Do avoid engaging in political discussions, as political tension is known to occur between certain groups. The 12th of July marks a popular march of the Orange Parades, so avoid the rowdy city streets if possible. Try to avoid walking around at night if you’re on your own and stick to well-lit areas.